Success as an assistant begins with an understanding of yourself. In this powerful and engaging session, Lucy Brazier explores what opportunities you can create from changing your self-awareness. Exploring how your beliefs and values drive behaviors, Lucy looks at the inner voice, body language, and communication before exploring how to use your new understanding of yourself to create meaningful interactions that are beneficial to both you and your superiors. Executive assistants are expected to make decisions and act as an influential leader both on behalf of their executive and the organization. Impactful leaders are critical thinkers possessing the ability to step outside their biases to view problems or situations from a new or different angle. With the guide of a leadership expert, executive assistants will learn critical behaviors and principles to practice in all aspects of the business. Today’s executive assistant is no longer bound to the job description of the traditional secretary. EAs are leading teams, implementing initiatives, collaborating cross-functionally, and have a pulse on the organization and company culture. With the evolution of the EA, titles and compensation packages must be adjusted accordingly. At the World Administrators Summit in Frankfurt, Germany, EA leaders from around the world worked to modernize and standardize titles and responsibilities for the profession. Within North America, organizations such as Google recognized the breadth of the EA role by using the title of Executive Business Partner. In this closing session, we will build on the knowledge and network gained at the forum to discuss the future for the executive assistant career because, with the right mindset, opportunities for growth are endless. Executive assistants are project managers, often overseeing complex projects on a deadline and within a budget, which is why many EAs are solidifying their skillset and pursuing project management (PM) certification. While a PM certification widens knowledge areas, executive assistants likewise seek resources and templates that assist with the execution of a project. This interactive workshop will lead EAs through strategic project management best practices providing an in-depth look into processes and tools that are sure to aid in successful project completion. Assistants are gaining responsibilities akin to those of chiefs of staff and directors of operation, where they are expected to facilitate high-level meetings and in some cases, present information. Successful facilitation of a meeting requires managing how the meeting will progress, taking thorough notes, and guiding the discussion as outlined to achieve the purpose of the meeting. During this workshop, participants will further develop behaviors related to communication, presentation, and facilitation skills to disseminate information effectively and elevate their role among business leaders. We live in a world that recognizes big ideas and the people who came up with them. People who are honored, celebrated and distinguished for their grand philosophies and unique inventions. Since we rarely hear about the contributions of those operating in a support capacity, we also rarely hear about their plight. How do we prioritize a target when the target keeps moving? How do we thrive in an ever-changing environment where we have little control over our daily activities? What is it really like to stand behind the person who gets all the credit? In this session, Monique Helstrom, former Chief of Simon Sinek, the New York Times Best-Selling author and TED celebrity, offer some alternative viewpoints and radical solutions to the common issues that seem to plague EA’s and Type-A’s around the globe. It’s time to decipher, disentangle and rise above the narratives and the misconceptions that are holding this extraordinary group of people back. Executive assistants are mastering technology within a variety of applications. By understanding how to apply this knowledge in a practical setting, EAs increase the bottom line by saving time. Through engaging demos with comedic flair, attendees will learn how to better utilize programs for the tasks at hand. This three-part course will focus on software as it relates to project management, data management, and task automation. MODULE ONE: HOW BIG IS YOUR TOOLKIT? Enter EAs as strategic business partners who have a voice and opinions about the running of their companies. EAs are taking their seat at the conference table with executives and they are invited there as valued and respected participants in the discussion. Assistants have long known they are the eyes and ears of their managers. In our modern workplace, they are now the mouth. Silent no more, executive assistants are exerting their influence and power more than ever. It is a win/win. This is the future for assistants who want to succeed at the very highest level. When an executive and the assistant establish a strong strategic and supportive business partnership, possibilities for both careers are endless as the success is felt throughout an organization. Having the executive’s respect and trust is empowering for the assistant and will positively affect every aspect of his or her work. Conversely, knowing that the assistant is autonomous, capable of safeguarding time and handling other priorities, will allow the executive to focus on more significant matters. Establishing this partnership and strengthening the relationship requires on-going collaboration and communication. This highly anticipated session will center on an open dialogue between executives and assistants on the intricacies of maintaining this unique partnership and on continually adding value to both the executive and organization. Connect, exchange ideas, and problem solve with executive assistants facing similar challenges. Attendees will break into groups based on the discussion topics below. Each group will be facilitated by two executive assistants, yet all participants are encouraged to contribute to the conversation. Topic 1: Tools for having difficult conversations and resolving conflict in the workplace. Topic 2: Tips for executing career goals to create positive changes as an assistant and beyond. Topic 3: Strategies for communicating your value to leadership and expanding responsibilities. Topic 4: Polishing your elevator pitch in person and on paper: LinkedIn and resume best practices. This keynote session is not to be missed! 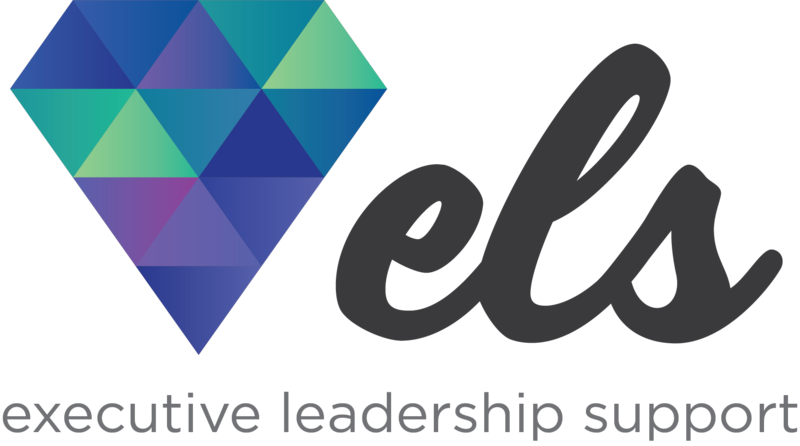 Join Emily Burley, Director of the ELS Forum as she interviews Al-Husein Madhany, former Chief Chaos Tamer to the C-suite at Facebook and PayPal. Al-Husein, currently Senior Consultant Coach at the globally renowned Executive Assistant retained search firm, The Duncan Group, will share his pithy and profound insights from his own journey through the evolution of the EA role, future technologies and their impact on the role, building a powerful business partnership and much, much more!